The modular building industry is continually evolving, sometimes in unexpected ways. 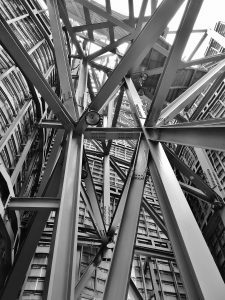 While the use of steel in construction may not seem like an innovative choice, recent technological advances bring a host of benefits. Traditionally, builders have relied on solid timber for building sub-structures and framing. Now there are multiple options, including mass timber, concrete and steel. With the advent of CAD CAM technologies, using steel is easier than ever before. Using steel for modular construction saves time and money. Manufacturers can order steel construction components from suppliers to the exact size and specifications in the CAD drawings. This results in a streamlined installation process. Depending on the size and complexity of the building, the subframe can be put together in a matter of days. Plates and gussets are customised to the precise length required, including holes for connections. By lifting a steel subframe from the top of the structure, you can reduce installation time and improve site safety. Light gauge steel wall frames are supplied in pre-rolled sections. The frames arrive braced and perfectly straight, meaning that walls can be installed with minimal fuss. Unlike timber frames, no additional preparation is required before plastering. The average time it takes complete a basic frame for 5 modules is a week. Shorter construction and installation times mean there are lower holding costs on site and greater rental yields. There are whole of life cost savings too. Steel is inherently more durable, has greater corrosion resistance in harsh environments and is impervious to termites and wood rot. Steel also has the advantage of being easy to alter should the building need to be extended or renovated during its lifetime. 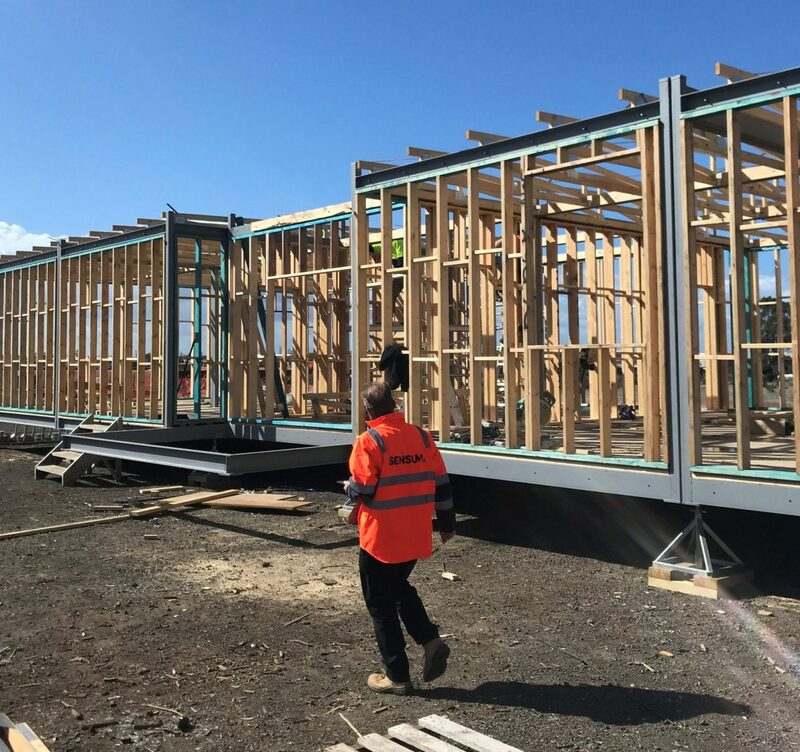 Steel framed modular buildings that are over 30 years old can be stripped back to the steel frame and refurbished with modern building materials and technology to give it a fresh lease on life. One of the common criticisms of early modular construction is that the buildings look like boxes. Steel’s durability, strength and malleability helps designers to challenge this preconception. Designers using a steel frame can create effects like cantilevered modules, curved features and pitched roofs. These features generate more visual interest and can disguise the building’s modular construction method. The strength of steel enables designers to use larger open spans that have a more contemporary, open design across building modules. Not just appealing to look at, these spaces are particularly important in the education sector, where open plan learning is greatly valued. The strength of steel means that it can be used on difficult sites with steep gradients. It can also support modern multi-storey modular buildings. 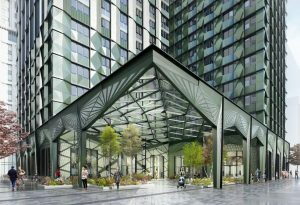 In Croydon, Greystar is building the world’s tallest modular building, 101 Georges Street. This residential tower will be 135 metres high, and 44 storeys. For building occupants, steel is a safer option compared to traditional timber. Steel has a much higher level of fire resistance and is integrated into a building design as a fully engineered system that can be easily verified. Welded connections are inherently stronger than timber connections and welded joins can be easily inspected and verified using non-destructive testing. At the end of the day, clients can expect a building with true structural integrity. There can be no doubt that using steel ensures a quality result. All steel is manufactured to a high tolerance of straightness and a high level of dimensional accuracy. These features are traceable and certified by most reputable manufacturers and suppliers. The durability of steel ensures that all components used in the manufacture of modular buildings will not fail during the transit and installation phase of construction. Steel is inherently resistant to corrosion. Its performance in both internal and external construction environments is both predictable and assured. This removes any uncertainty about the building’s performance throughout its life. In highly corrosive environments, steel can be protected by hot-dip galvanizing or the application of other suitable coatings. Welded steel connections are not only stronger than other materials, but they are also very easily tested for verification to the engineered designs and specifications. Bolted connects used in steel fabrications are designed to guarantee their strength and suitability for any application in modular construction. Bolts and fasteners purchased from reputable suppliers will have quality assurance systems that support their manufacture and certify their performance when used as specified. Steel is not just great for the industry, it’s a practical choice for the environment too. Modular buildings constructed from steel are manufactured with a high level of accuracy. As a result, there is very little wasted material during the construction phase and landfill is greatly reduced. Steel is also 100% recyclable. At the end of the building’s life, all steel components can be removed and recycled for use in other steel constructions or fabrications. 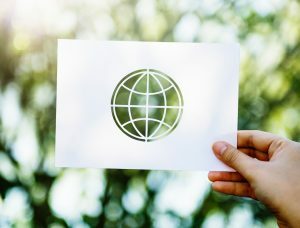 Impact to the environment is minimal. Given the pre-fabricated nature of steel in modular buildings, there are no risks to local areas from dust, spills, pollution, excessive noise or disturbance. 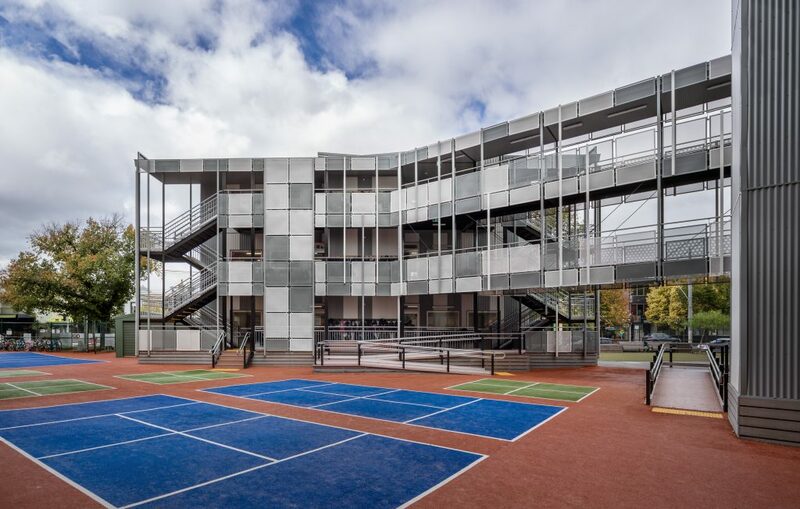 Using steel in modular building projects is an efficient, high quality and sustainable option. The benefits apply to manufacturers, clients, occupants and neighbours too. Best of all? 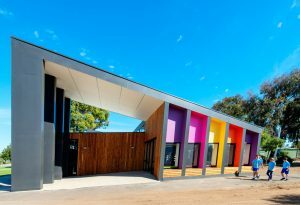 Most people would be hard pressed to tell a well-designed steel modular building apart from its timber counterparts.